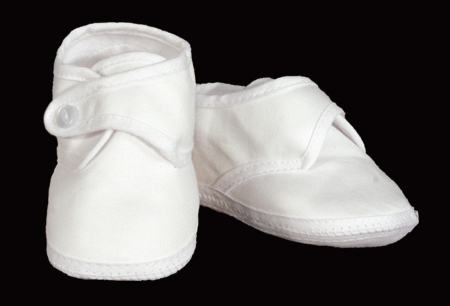 Beautifully constructed boys Christening shoe made of 100% cotton sateen. The same fabric as our "made in the U.S.A." cotton sateen boys sets. A cross over side tab with a button completes the look. When you want the perfect touch to finish your cotton or poly-cotton boys Christening set this shoe can't be beat.